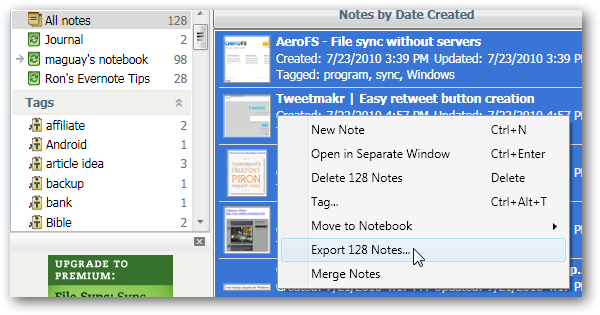 Would you like to export some or all of your notes from Evernote so you can view them in another program or use the data elsewhere? 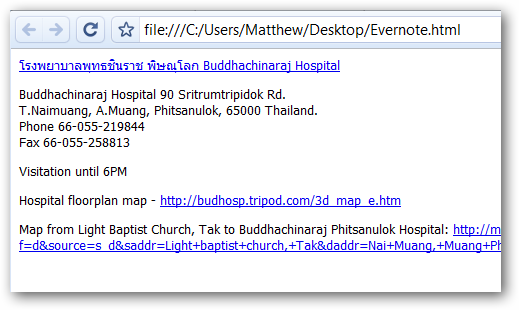 Here’s how you can export everything stored in Evernote in HTML or MHT format. Evernote is a great tool for taking notes and syncing them to all your devices. But, what if there’s not an Evernote app for one of your devices, or you want to move your notes to another application? Thankfully, Evernote supports exporting your notes to other formats. Even if you’ve added PDFs, images, or other files to your notes, you can export the original files as well so you don’t lose anything. Let’s see you you can export all of your notes so you can easily use them however you want. Evernote makes it easy to export a note. Simply select the notes you want to export, click File, then select Export. Alternately, right-click on a note’s name and select Export. You can select as many notes as you want and export them together. Or, you could export all of your notes from at once. Select All notes on the left, then select a note and press Ctrl-A to highlight all of them. 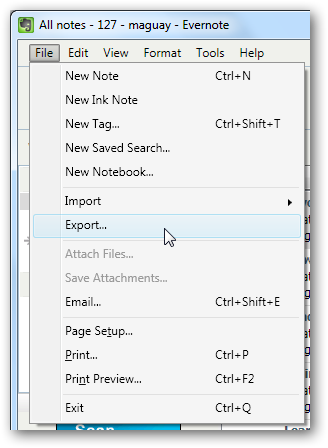 Right-click, and select Export notes. 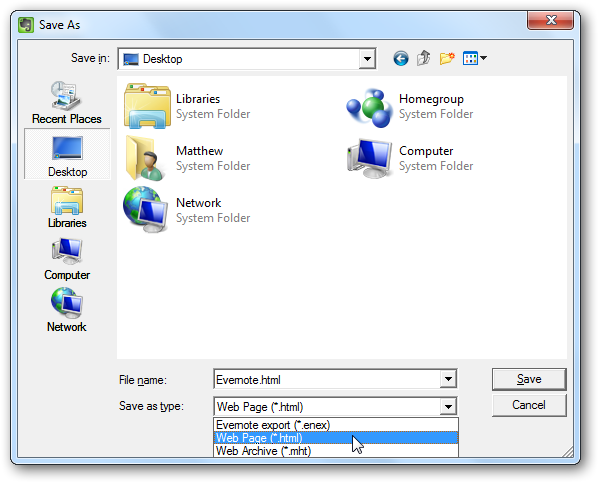 Browse to where you want to save the exported file, enter a name for your export, and then select Web Page (*.html) from the Save as type box. Evernote lets you export your notes in HTML or MHT format. 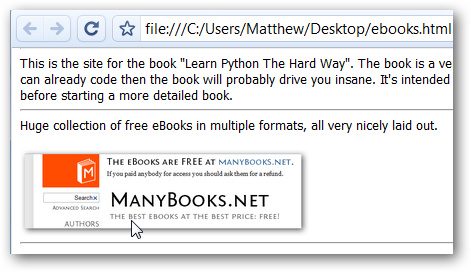 HTML is usually the best option, as you can open it in any browser, whereas MHT format only works in Internet Explorer. 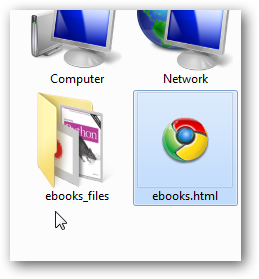 Once your notes are exported, you can see the files in Explorer. 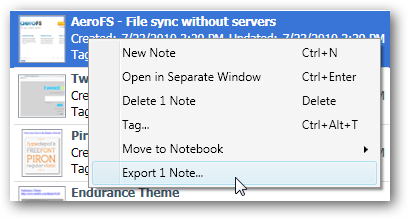 If your notes contained any images, PDFs, or other files, they’ll be saved in a yourNotes_files folder. Individual notes will be rather simple, and just contain the text from your note, including links and formatting. If your note contains images, you’ll see them in the note, but if it contains PDFs or other files, you’ll see a link to the file in the page. 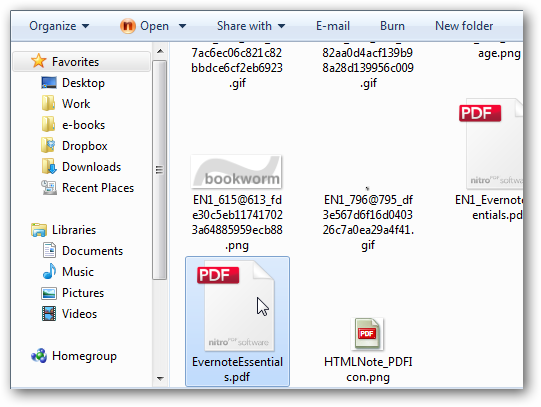 Or, as mentioned before, you can see the exported files in the folder that was created with your HTML export file. The images may have odd names given automatically by Evernote, but PDFs and other files you manually added should have their original name. When you’re selecting where to save your exported files, you can also check to export tags. 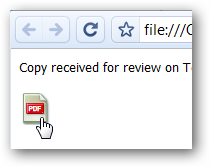 However, this did not work in our tests, and it did not seem to add the tags to our file whether or not it was checked. If you’d like to keep your tags when you export your files, here’s one way to easily export them. Select one of your tags on the left, and then select all of the notes with that tag. Right-click, and select to Export the notes. Now you’ll see all the notes with that tag in the HTML page. Then you can easily copy all of them into another program to keep the notes with the same tag together. You could also export a whole notebook together this way. 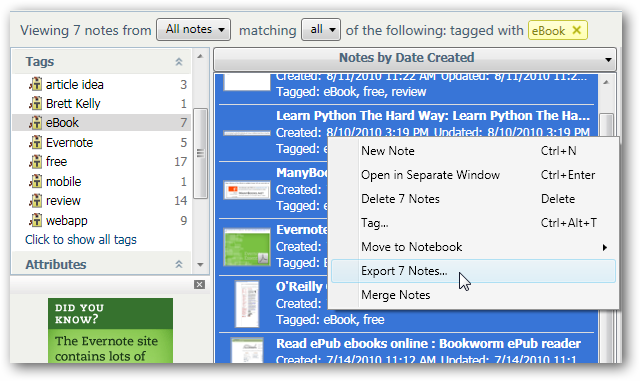 Select the notebook name instead of a tag, and then select all the notes for export. Evernote is a great tool for taking notes and keeping up with your information on all your devices, but sometimes you’ll want to use your data elsewhere. Whether you want to move to another note taking application or just import some of your data into another program and keep using Evernote, it’s great to know you can export your data to use like you want. This way you’re not locked into Evernote and use your data however you want. If you want to keep using Evernote, here’s how you can use it as a great bookmark solution with the new Chrome extension.